Add a gift message, enter the Quantity, and your corporate gift items are off your "TO DO" list. 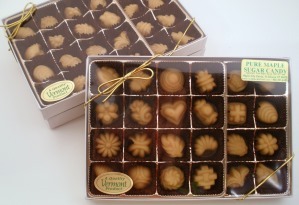 From a local maple sugarer in St. Albans Vermont we get our "assorted shapes" pure maple candy box. 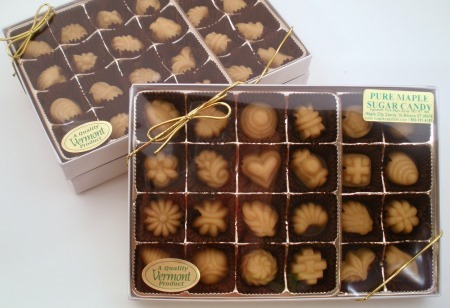 These delicious melt-in-your-mouth candies are made with pure and natural Vermont maple syrup. This particular candy gift box is very popular during the holidays, so be sure to place your corporate gifts order early. Each candy weighs approximately .25 oz. (NET WT. - 6 oz. ).